There are 500 millions surveillance cameras worldwide, producing 15 billion gigabytes of data weekly. This number doubles every 2 years and it is obvious that today, and in the future, most of the recorded camera footage won’t be reviewed by human eyes no more. It is just beyond human capacity to do so. It is also beyond human brain capacity to analyze camera streams accordingly. 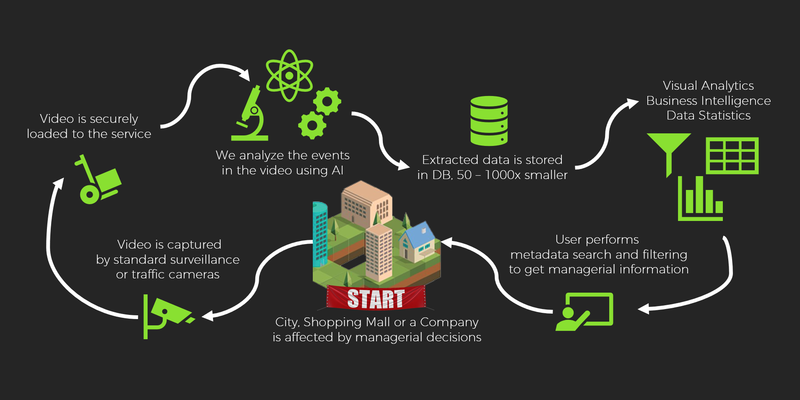 In a race for a system which is able to collect traffic and footfall data from camera footage reliably - artificial intelligence with it’s deep learning paradigm seems to be the winning answer. For those aware of the deep learning tech, it is not a new information, how resource-hungry this technology is. Every camera stream being processed requires a GPU computational power of the size, which we could only dream of in our early PC gaming age. Fine, but you don’t need to analyze each stream in real-time right? 80% of respondents who mentioned real-time video analysis as a necessary requirement have been storing real-time events for later offline analysis. Duh? Honestly, except the mission-critical anti-terrorism security scenarios you are not able or not willing to take appropriate action based on the real-time alarm. Who needs data from cameras? Civil Engineering and Traffic Consultancy — Number of surveillance cameras in the world in 2017 was around 500 Millions. 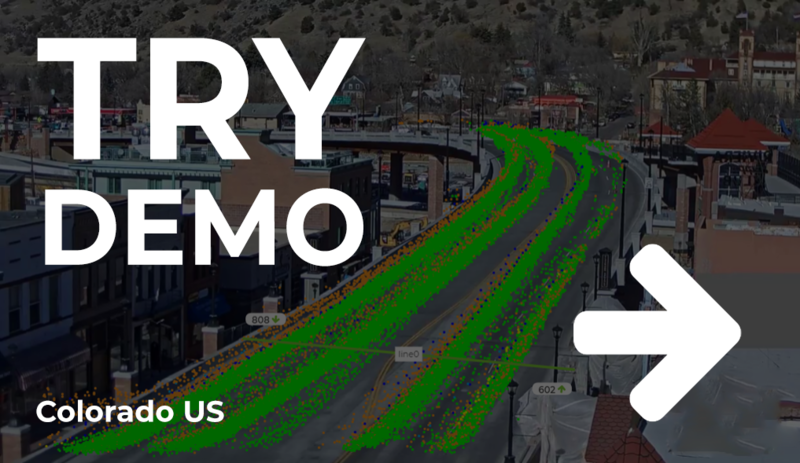 Would you perform traffic surveys in person? Or wait months for it? Market Research, Retail Marketing and Management Consulting — 185 companies included in TOP 50 list in US in 2015 with 11.6 billion revenue. Reliable data from camera recordings may be a key differentiation for projects acquisition and quality of advisory. Real Estate Companies — Public buildings and shopping mall operators responsible for shopper’s street potential. 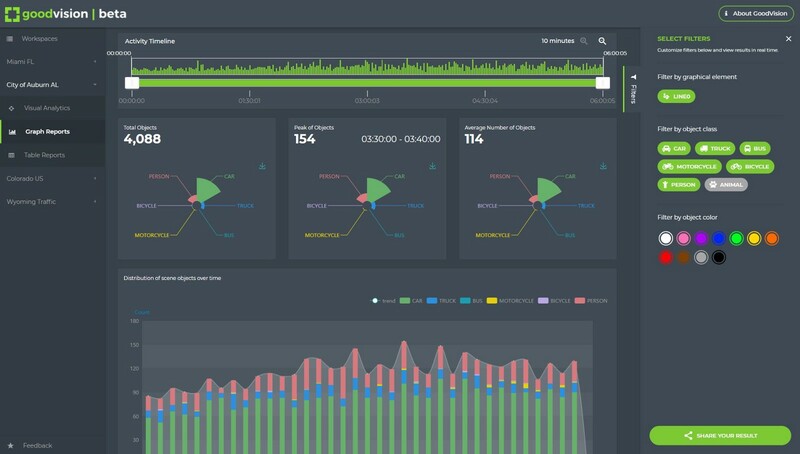 On-demand analytic service doesn’t cause the lock-in effect to proprietary vendors in diverse infrastructure landscape. To solve the problems mentioned above and to overcome the limitations of the traditional video-analytical technology, at GoodVision we have decided to create the top-notch AI for visual recognition and offer it as a service to masses. We detect and classify all known objects such as cars, pedestrians, trucks, buses, bicycles, motorcycles and animals, and track their behavior during their presence on the scene. All physical attributes of objects are extracted and stored in our database for further user analysis, visualization and statistical reporting. First and most important thing about GoodVision’s AI is that our state-of-art deep learning technology is being constantly trained and optimized for extreme reliability in typical real-world surveillance scenarios with cameras in their current positions, no special deployment is necessary. If human eye is able to see the object, GoodVision detects it. What We See Is What You Get. We handle day-time and night-time scenarios and different weather conditions like rain, fog and snow, if the objects are visible to human eye. 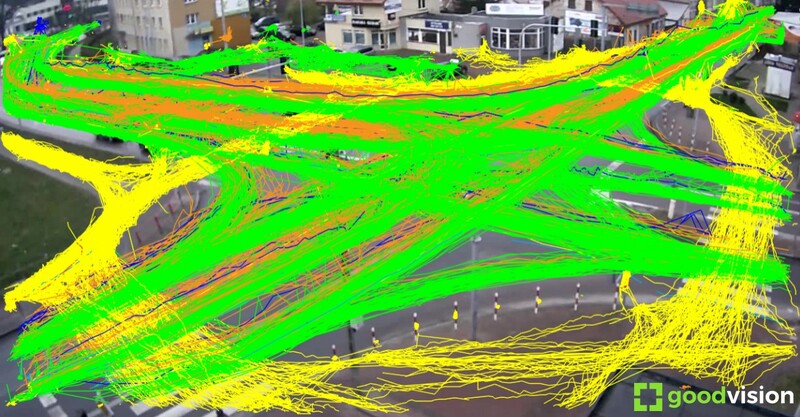 We also handle crowded scenes and detect individual objects where they are overlapping or are partially occluded. Since we do not detect objects by motion, our algorithms are immune to camera shaking. We “see” objects in motion as well as static objects. Video Insights is a fully cloud service (SaaS) able to scale accordingly to client’s needs. You just don’t wait months for your results with GoodVision, it is minutes and hours instead. Whole batch of camera recordings from the client is processed within 1 to 24 hours. Sometimes faster than a pizza guy. 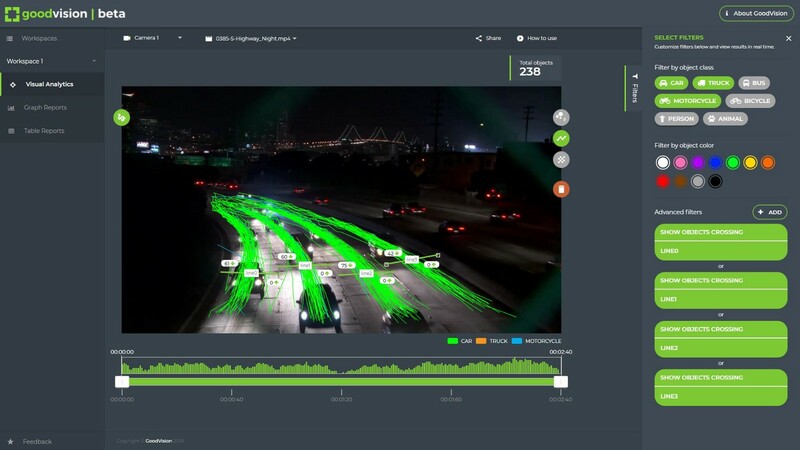 GoodVision Video Insights extracts objects and events from the video completely, provided data is permanent for future analysis and business intelligence. Our web-app offers data visualization of object trajectories, positions and various types of heat-maps.It also provides multiple user filters which allow user to repeatedly perform unlimited ways of analyses. Object counting, distribution of scene objects in time, percentage statistics and more. All this is supported in reports screen of GoodVision Video Insights with more reporting stuff coming with every new release. Traditionally, we support exporting of query results into Excel files. GoodVision Video Insights receives video footage at the input and produces completely anonymous data at the output. Each video file is processed on-the-fly, immediately after it lands in the service it is transferred into binary data for processing by our AI. Original video footage is deleted from GoodVision servers right away following the fully audit-able process. Our video analysis process stores anonymous metadata about object classes and their trajectories which do not allow re-identification of a person of vehicle LPR in any way. This makes GoodVision a great tool to comply with GDPR regulation while it still keeps valuable information from videos for future analysis. Process your own video in a free trial! There are several pre-processed static demos on our Website which will give you a taste of using our data visualization and data analytics web-app. Do you want to upload your own video and get it processed with GoodVision for free? Just sign up for free at my.goodvisionlive.com and redeem the promo code GVSTART30 to get free credits worth 30 EUR. 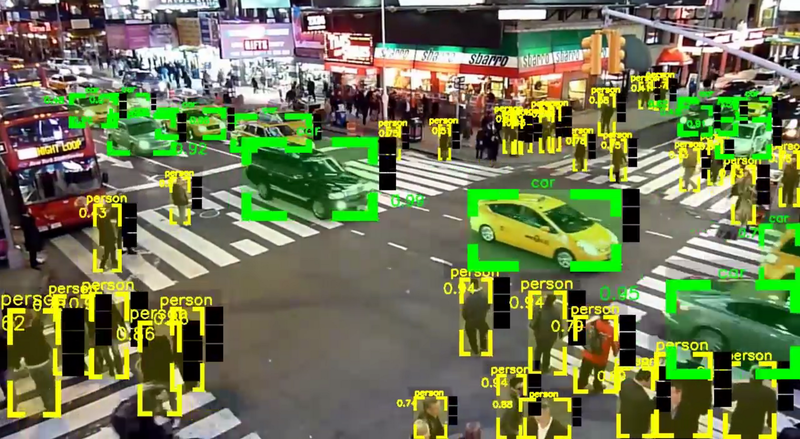 Even if number of cameras will grow exponentially in the future, extracted data by GoodVision is up to 1000-times smaller than the original video footage. You can get rid of the video right away. Only then, you perform the business intelligence, event querying, visualization and lot more.